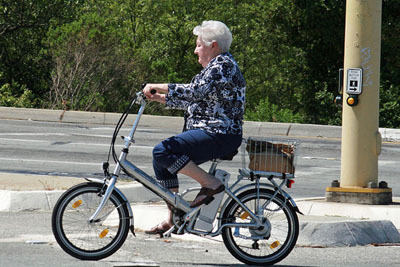 Seniors stand to benefit greatly from e-bikes. Exercise, social experiences, and staying active are all part of healthy aging. 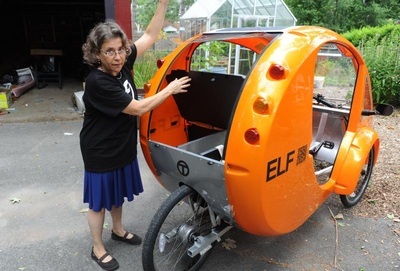 Check out some of these bikes and picture what it would be like. You can climb the hills and really enjoy being in Vermont in a whole new way. 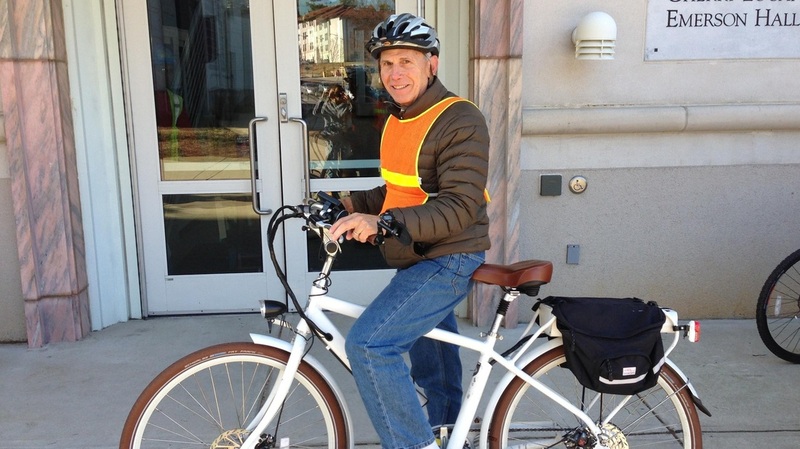 We are already acquiring a number of bikes like these for VBike fleet for you to try out! Also check out our VBike Fleet page and our pages about bikes for families, commuters, and business. 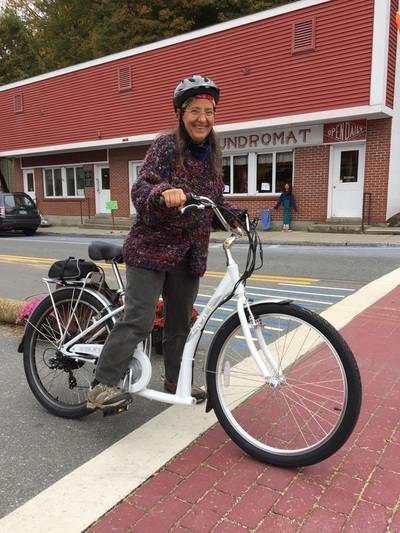 The front drive Liberty Trike is a great out-of-the-box option. Trikes for seniors are an excellent way to go if you have the storage space. This one has a powerful rear assist. 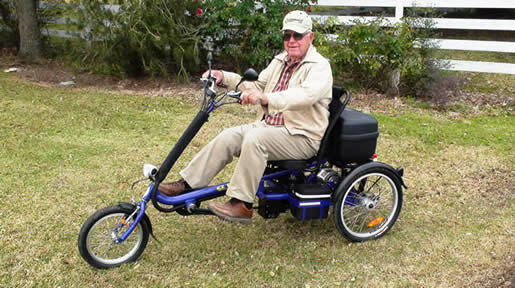 Here's the Sun Bikes Streamway, an excellent ultra step-thru frame. This one was set up with a e-assist from E-BikeKit. 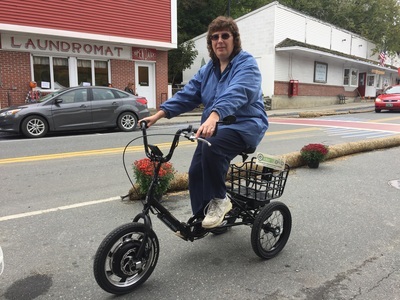 The Pedego step-thru frame is a wonderful e-bike for anyone with physical challenges. Take a look at the mid-bottom of the frame and you'll see how easy it is to mount a bike like this. Another step-thru e-bike on the move. This one includes front hub motor with front suspension. Another option is an e-bike with 20 inch wheels for getting on and off with great ease. 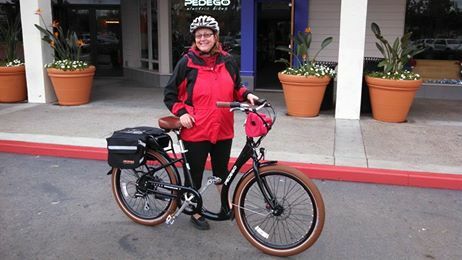 This e-bike has a rear hub motor. 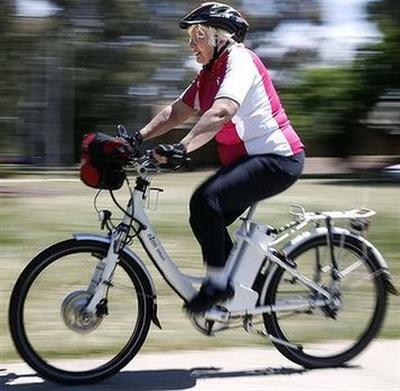 Some seniors who don't have physical challenges might opt for a standard e-bike. Here's another regular e-bike in Manhattan. 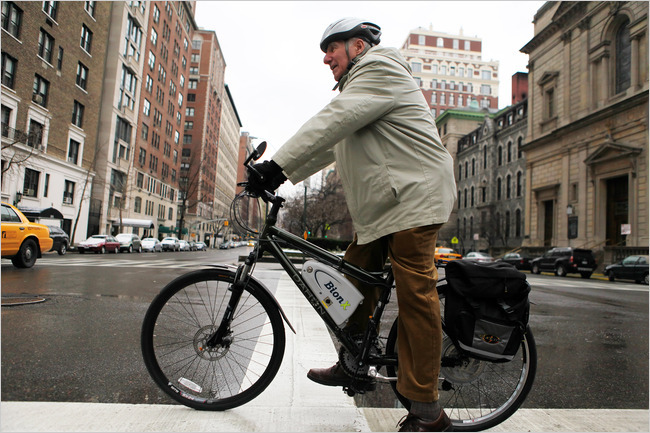 E-bikes help mitigate for a lack of infrastructure since you have greater control of the road.